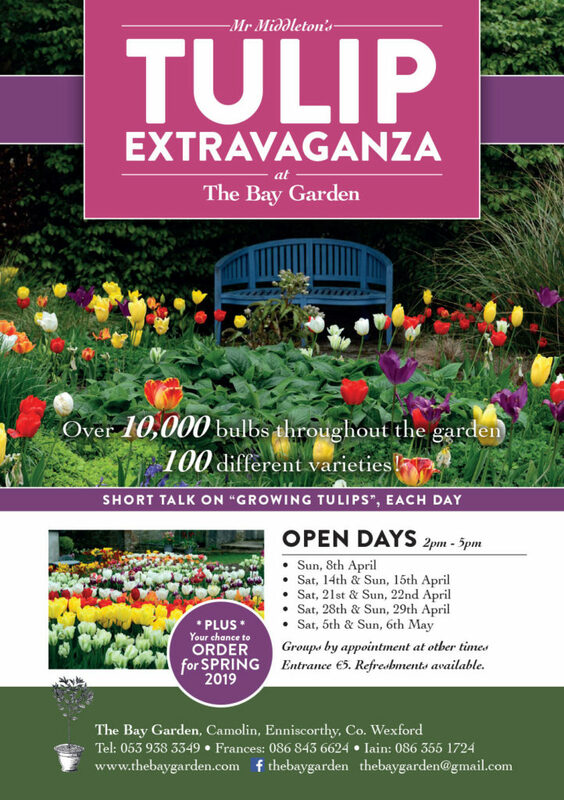 Visit the Bay Garden for Mr Middleton’s Tulip Extravaganza at the Bay Garden, with over 10,000 bulbs throughout the garden and 100 different varieties. 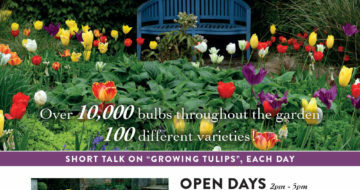 There will be a short talk on “Growing Tulips”, each day. Plus you will have a chance to order for Spring 2019. Open Days are from 2.00pm to 5.00pm. Groups by appointment at other times. Entrance free is €5.00. Refreshments available.